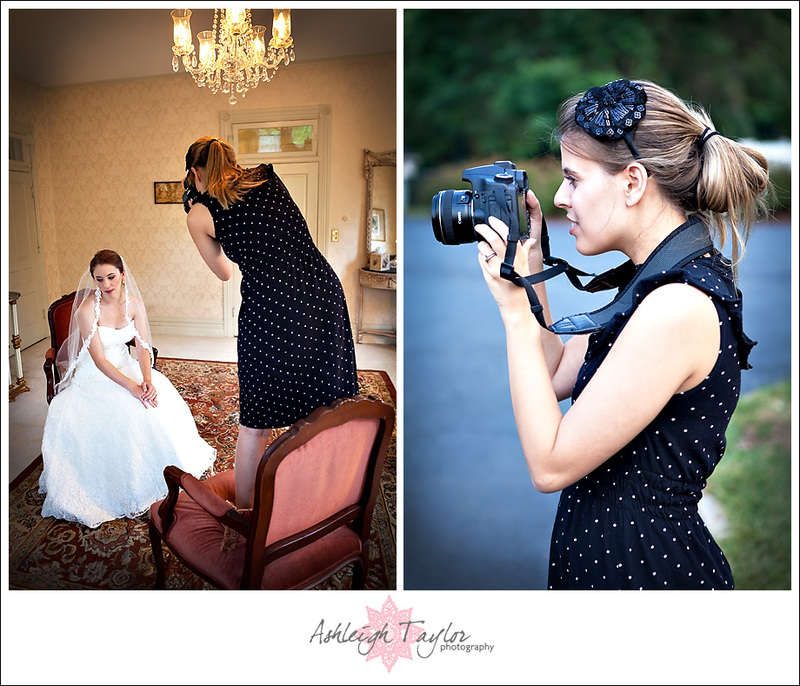 Ashleigh Taylor Photography: Behind The Scenes! I’m a shorty so I always try to find chairs I can stand on…Yeah, I’ll do anything to grab a shot! Sometimes I’m a little touchy-feely to get just the right pose from my clients!! I LOVE showing my clients photos from the back of the camera and seeing how excited they get! That always makes me happy!! I LOVE when I get to shoot alongside my hubby!! We make an awesome team!! Awwwww me + Laurie at Pam + Justin‘s wedding! Laurie is my photog friend from DC, so when I shot Pam’s DC wedding I HAD to have her along to 3rd shoot! Shooting with friends always yields fab pics! I’m so adorable! Right???? Clearly I am. I also LOVEEEEE getting photo booth pics at weddings!! Here is one from when I shot with [b]ecker! 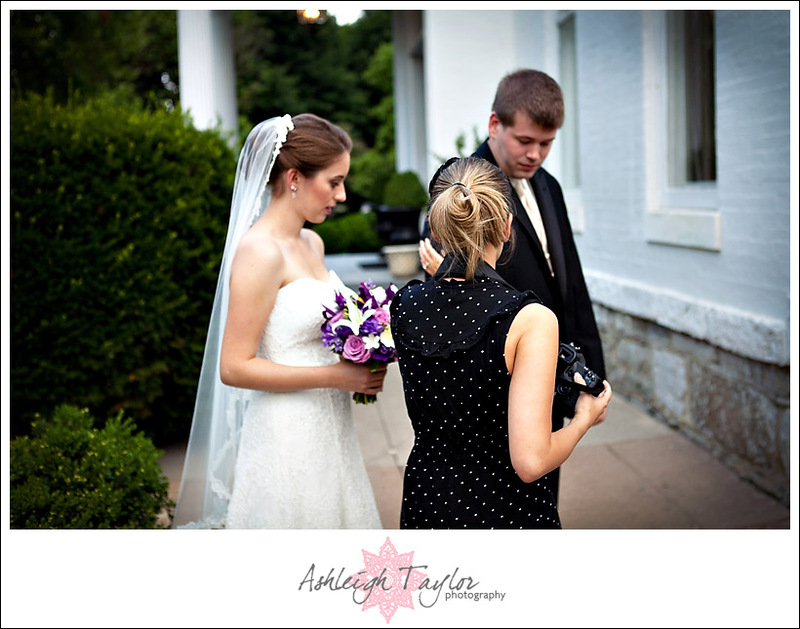 Here are some super fun pics from Tyler + Christine‘s wedding! LOVE how much fun they had in the booth with me & AJ!! It’s okay, you can admit we are hilarious!! Lastly, here is I am with Cindee at Roy + Kristine‘s wedding. I kinda told Cindee I wouldn’t post this….but I can’t resist!! SO please everyone leave comments telling her how very cute she is!! Kristina McCormick - Ashleigh my girrllll!! Love this Behind The Scenes section you put together (: and so in love with my engagement and wedding pics to this very minute!I’m SO glad we had a picture taken with you at our wedding, made me SO happy to see it above <3 You have a special place in our hearts FOR EVA!!! You're the bestest!! Candee - Looks like you’re a ton of fun! =] cute photobooth shots! Dan - You guys are so cute! I would NEVER shoot a wedding with my wife. She’s a lousy photographer!!!!!!!! But please don’t tell her I said so! Ha!